Even though it's only in six states! When it comes to grocery shopping, plenty of us tend to play the field. Maybe you hit up Lidl for wine, Costco for beef, and Walmart because you need both Cheez-Its and a belt sander. But which one is really your favorite? It’s a question Market Force attempts to answer each year with its grocery store customer satisfaction study, and the 2018 results are finally in. Wegmans has earned the title of America’s favorite grocery retailer for the third year in a row, with a satisfaction score of 77 percent, according to a survey of over 12,800 shoppers. This year, the New York-based chain stands alone as Publix, which tied for number one in 2017, has slipped into the number two position with a 76 percent rating. Rounding out the top five are Trader Joe’s (75 percent), Aldi (which jumped up a spot, thanks to its 70 percent score), and H-E-B (69 percent). On the other end of the spectrum, Safeway and Walmart fared the poorest, with scores of 42 and 34 percent respectively. Of course, as mentioned up top, different grocers may suit customers’ needs at different times, so Market Force also looks at specific parts of these stores’ performances. Wegmans scored high in specialty department service, and shoppers noted how easy it is to find items in Publix. 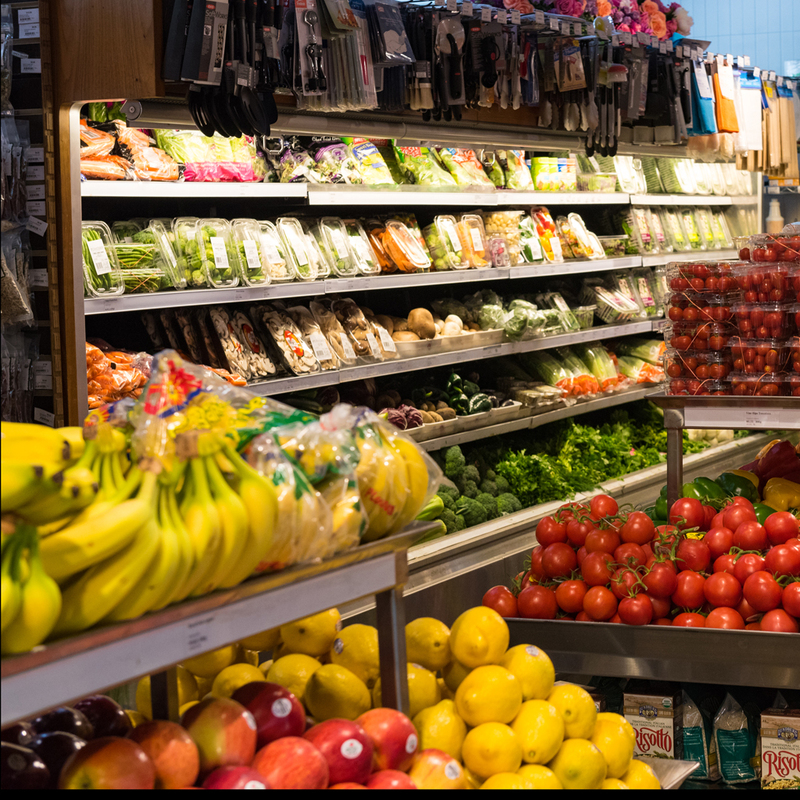 Both chains received top marks in cleanliness and product availability, while Trader Joe's was praised for having the fastest checkout and the most courteous cashiers. Meanwhile, those surveyed chose Aldi as the grocery store where you get the most for your money, ShopRite as the chain with the best sales and promotions, and Food Lion as the most convenient. Some of you may still be thinking, Wait, what the heck is Wegmans? Sadly, America’s top-ranked grocer currently has fewer than 100 locations across just six states: New York, Pennsylvania, Maryland, Massachusetts, New Jersey, and Virginia. But the chain is continuing to expand, so keep an eye out for a Wegmans near you — though a grocery store road trip actually sounds pretty fun.